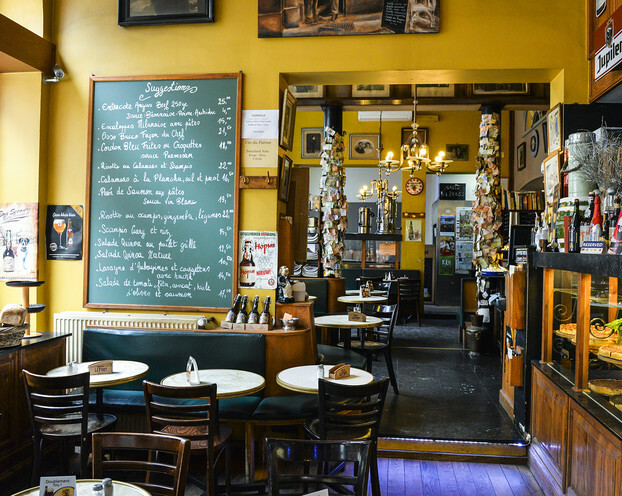 The Arcadi Café serves a range of quiches, Belgian specialities and sweet tarts in quintessentially Brussels style surroundings. 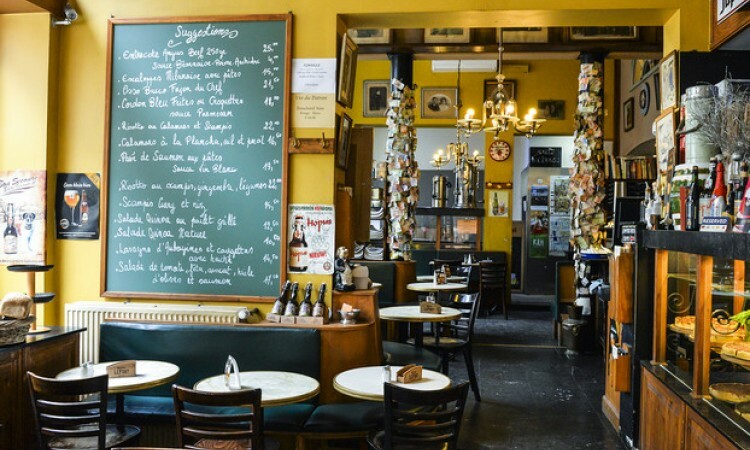 Located at the end of Brussels's Galerie La Reine and Galerie Saint-Hubert shopping arcades, the Arcadi Café is the perfect place to go for a drink or a meal with friends. 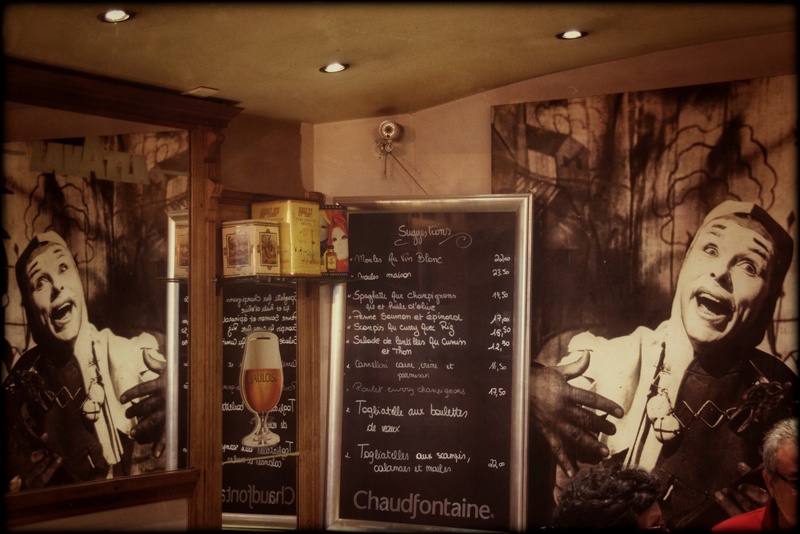 Its extensive and varied menu offers a range of typically Belgian products such as mussels, "carbonnade flamande" (a Flemish stew) and various types of lasagne, salads and pancakes. The mere sight of the sweet tarts on display at the Arcadi Café's broad counter is enough make the mouth water with pleasure: raspberry tart, fresh fruit tart, chocolate tart… and all delicious to enjoy with a Corica coffee, which is roasted locally in Brussels and served in all the capital's best brasseries. 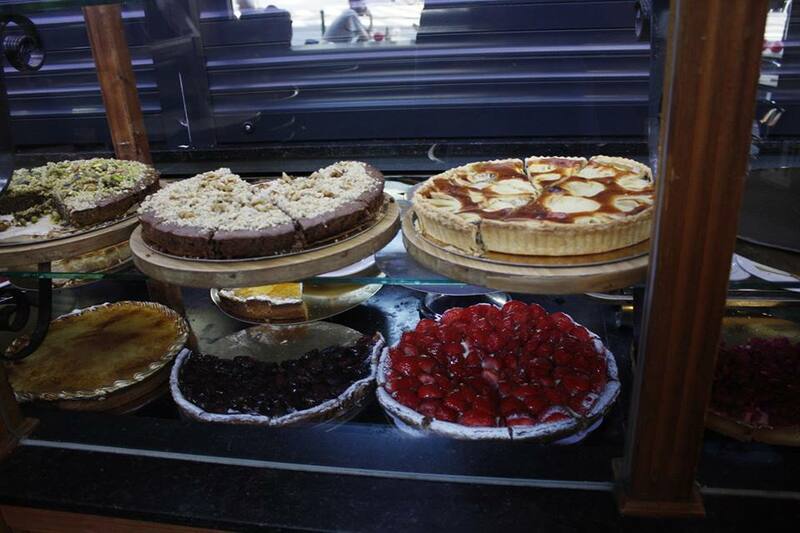 Though sweet tarts are what titillate the palates of Brussels inhabitants in the mornings or at snack times, it is the generous slices of all kinds of vegetable tarts and quiches that the Arcadi Café is famous for. These are made using the same traditional recipes the Café has remained faithful to for 30 years, and to which it owes its success. 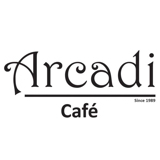 Arcadi Café also has its own uniquely individual ambiance. Observing its walls and looking at the old postcards, or carefully perusing the banknotes from all sorts of far-flung places, is like taking a trip around the world. Another delightful touch is the mixture of second-hand frames and metal boxes displayed on the walls and containing a multitude of treasures. 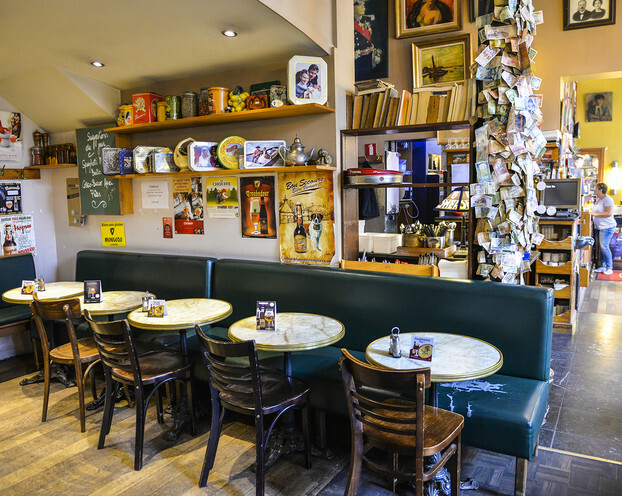 The use of little round tables adds a warm and charmingly quaint touch to the surroundings… and encourages visitors who've come to experience this little corner of pure, authentic Brussels to socialise and engage in conversation. In fine weather, the tables are lined up outside to provide outdoor seating areas on both the street and arcade sides of the café. The Arcadi Café also has an upstairs room that can be used to host dinner or birthday events for up to 30 people.